All horns and all models are available and in stock. Please call or email if you have any questions, and please feel free to call and arrange a private visit to my shop. 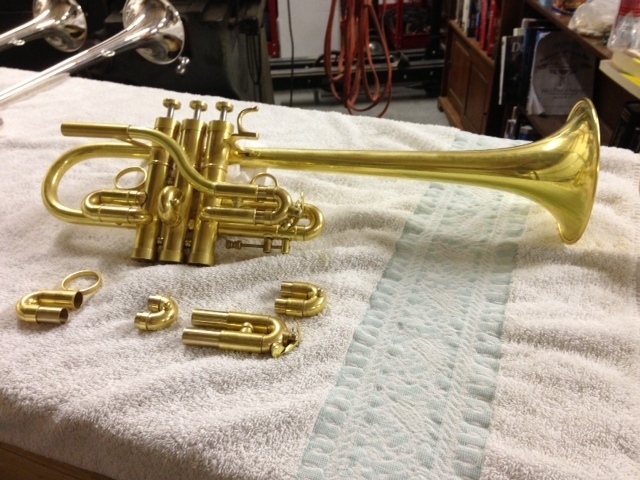 I will be happy to help you find the perfect horn for you! I have these horns on display and it is very easy to quickly go through and find the horn for you. If you fly into DIA (Denver), I can pick you up at the airport and usually get you back there the same day for a return flight with your new horn in hand!